Internet is a Global system of interconnected computer networks. It also acts as medium between the server and the user for communicating, transferring, sharing, gathering and many more by using Internet Protocol Suite (TCP/IP). Billions of people in the world use internet because of its many more advantages. The Internet service is provided by the Internet Service provider they are different by their country. But some of the ISP blocks most of the important sites. for overcoming those problems VPN (virtual Private Network)s are here to unblocks all restricted sites and using VPN you can use free internet not only on your android devices but computers and and all technologies which supports internet browsing service. 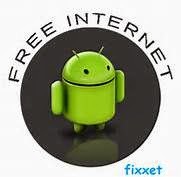 Yes, you can use free Internet On Your Android Phone Using VPN (virtual Private Network). There are many more VPN services Which Totally Unblocks All Restricted sites . Lets not talk about the detail. lets go to the main topics. YES ! It is possible using DROID VPN. First you have to Root your Phone because it asks for the root permission. (Is your Phone rooted ? if not Click here.......). Install TunKo Installer on your Phone (Link is given below). signup in Droid VPN using your valid Email Address (SIGN UP LINK). Launch Tunko installer and install tun.ko which takes only few seconds. Install Droid VPN and launch it using your username and password .then touch connect then wait for few seconds it shows connected, then it is done. Java is the most famous programming language helps to build web application & platforms. Developers can use these codes in any of the machines; there is sound demand for the certified Java developer in the IT industry. Final Year Bca Projects Chennai | Final Year Mca Projects Chennai.